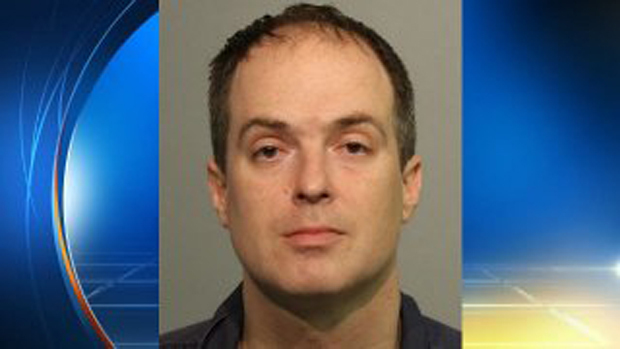 ORLANDO, Fla. -- A Florida man charged with shooting at George Zimmerman last week had "a fixation" on the former neighborhood watch leader and had recently been admitted to a mental institution, according to a police report made public Tuesday. Witness calls 911 after Zimmerman shot at in Fla. The Lake Mary Police Department report said that 36-year-old Matthew Apperson had shown signs of paranoia, anxiety and bipolar disorder. Apperson's attorney, Mark NeJame, told CBS affiliate WKMG he's referring Apperson's case to a colleague within his office and that he did not believe Apperson's mental health history should be publicly released. A Lake Mary Police spokesperson told WKMG the information came from family and friends but was not independently verified. Zimmerman, who was acquitted two years ago in the fatal shooting of unarmed teen Trayvon Martin, told officers he had been driving in the Orlando suburb of Lake Mary May 11 when Apperson got behind his truck and yelled, "You remember me you fat mother f-----?," according to the police report. Apperson then yelled at Zimmerman, "You owe me your life. The only reason I didn't press charges on you is because I wanted to kill you myself," police say Zimmerman told detectives. Zimmerman and Apperson reportedly had a previous road-rage encounter last September, when Apperson alleged that Zimmerman had threatened him. Apperson decided not to pursue charges, and police officers were unable to move forward without a car tag identified or witnesses. In the most recent incident, Zimmerman told officers he laughed and called Apperson a clown, and that Apperson fired a gun at his car a short time later, leaving a bullet hole in his passenger-side window. Zimmerman's attorney Don West told WKMG a bullet missed Zimmerman's head, but his client was sprayed with glass from his vehicle's windshield and other debris. Apperson gave police officers a different account. He said Zimmerman had pointed a gun at him as they were driving, so he fired at him with his revolver. A detective at the scene said he overheard Apperson say, "I hope I got him this time," according to the police report. "Please call 911, I just shot George Zimmerman!" After last week's encounter involving the two men, Ken Cornell, an MRI tech who works at nearby Cyrus Diagnostic Imaging, told 48 Hours' Crimesider that he was returning to work from lunch when he saw Apperson get out of a gray Infiniti. He said Apperson asked him, "Please call 911, I just shot George Zimmerman." Cornell said he didn't see the incident or Zimmerman. Cornell said he dialed 911 and put Apperson on the phone with dispatchers, and that Apperson told police it was his third dispute with Zimmerman. "He said the cops know who I am, this is an ongoing dispute," Cornell said. Apperson said he saw a gun before opening fire, according to Cornell. Apperson was "definitely shaken," he said. Apperson was charged last Friday with aggravated assault with a deadly weapon, aggravated battery and firing a missile into an occupied conveyance. He was released over the weekend on $35,000 bond. He must turn in all weapons to Seminole County Sheriff's office, and have no contact with Zimmerman, reports WKMG. West, Zimmerman's attorney, said the information in the police report will help give Zimmerman more credibility with the general public, reports the station. "There wasn't much explanation of Mr. Apperson's conduct that made sense, the way that Mr. Zimmerman described it," said West. "If he does have some mental issues I think that might very well go a long way in explaining what was otherwise very bizarre yet very violent behavior." Zimmerman's fatal shooting of 17-year-old Trayvon Martin in Sanford, Florida, in February 2012 sparked protests and a national debate about race relations. After his acquittal, the U.S. Justice Department decided not to bring a civil rights case against Zimmerman. Zimmerman has had several brushes with the law since then. He recently moved out of Florida but had returned to the Orlando area for Mother's Day, ahead of his latest encounter with Apperson.